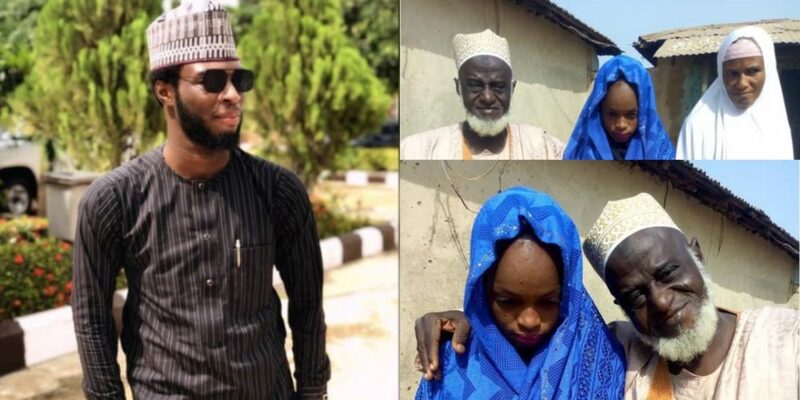 Days ago, the story of a 70-year-old Alhaji who married a 15-year-old girl in Niger state caused massive outrage. But a comment by a Muslim on Twitter has generated even more buzz. 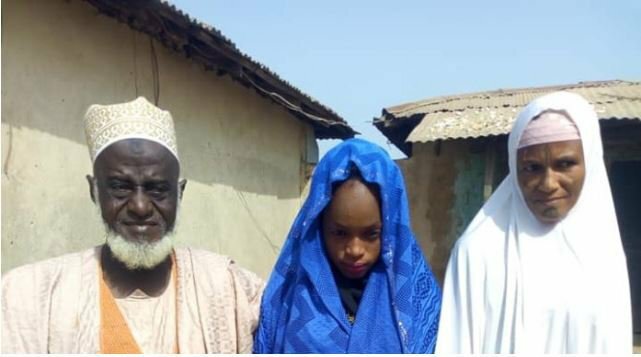 A man in Niger State, Yakubu Chanji, has tied the knot with a teenager, said to be 15-years-old. 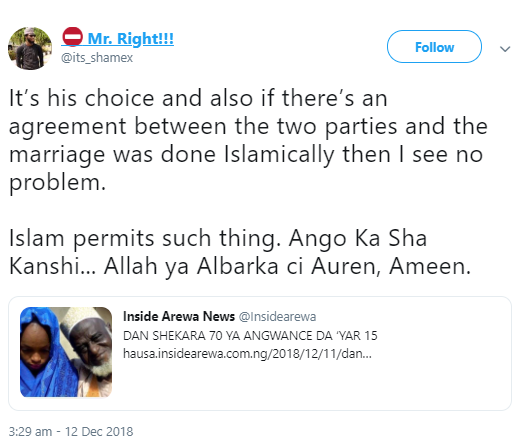 It’s his choice and also if there’s an agreement between the two parties and the marriage was done Islamically then I see no problem. Islam permits such thing. 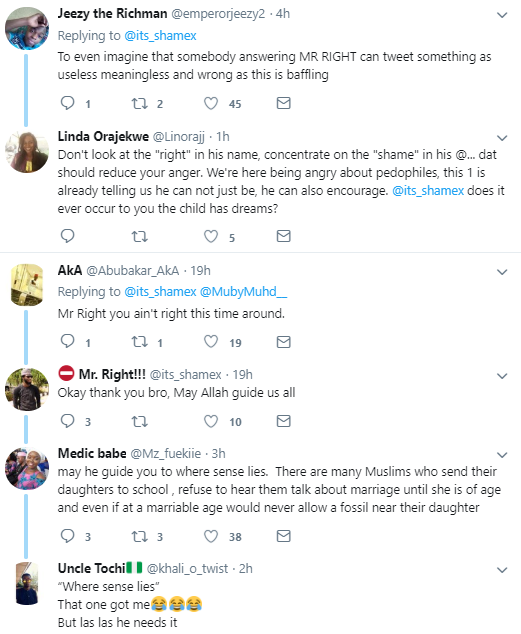 Ango Ka Sha Kanshi… Allah ya Albarka ci Auren, Ameen. 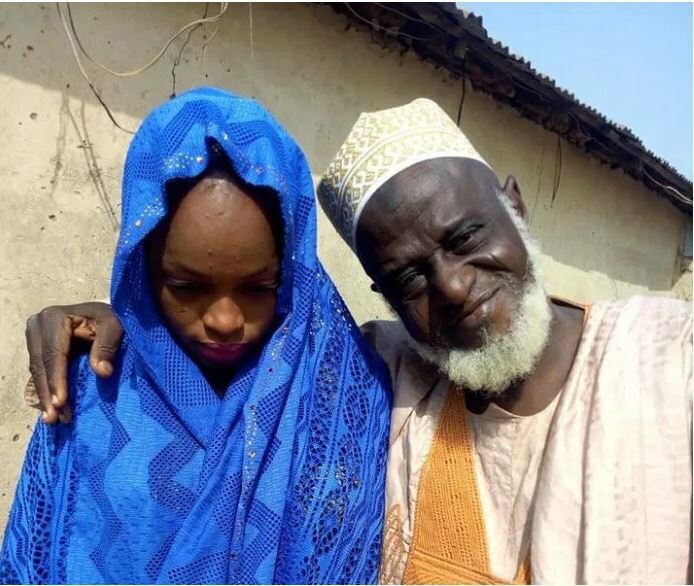 If it’s right in ISLAM, then I see no problem with it, judging based on facts and the holy glorious book of Allah..
Wallahi early marriage is really good, it’s even sunnah in Islam, do you know how dangerous it’s when a girl reaches the state of getting married and still she’s not married? It’s very very dangerous.. If she loves him and he’s a true believer . I would give him my daughter wallahi tallahi. 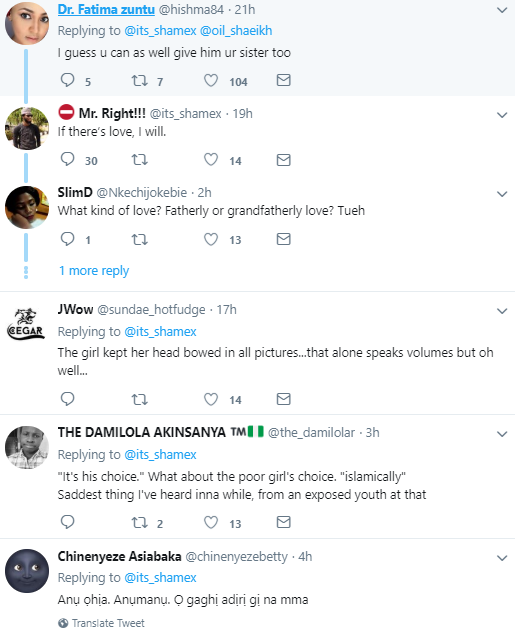 See some reactions to his tweets below.